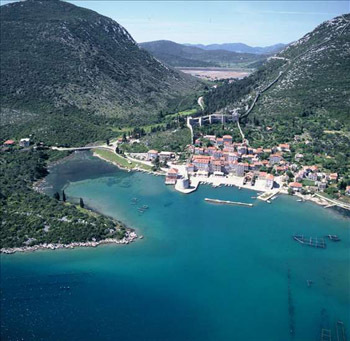 Ston is a city, harbour and the administrative center, located on the narrow strip of land which connects Peljesac with the mainland. 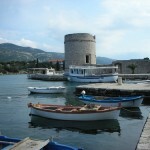 It is situated on the shore of Ston channel which leads to the sea. 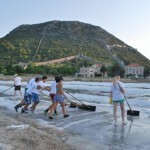 On the southeastern side there are areas of very shallow water which helped create the salt production. 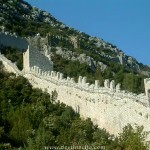 In the Roman times it was called Stagnum, lat. 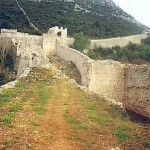 marsh, where the Romans used to get salt. 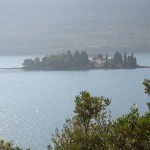 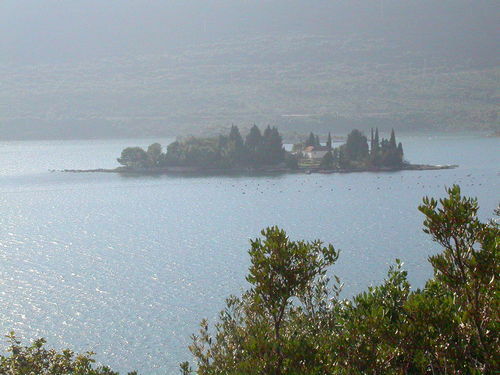 Through history the entire peninsula used to be called Puncta Stagni – The Point of Ston. 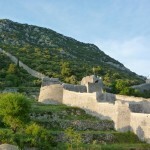 Modern Ston was established by Dubrovnik Republic in 1333. 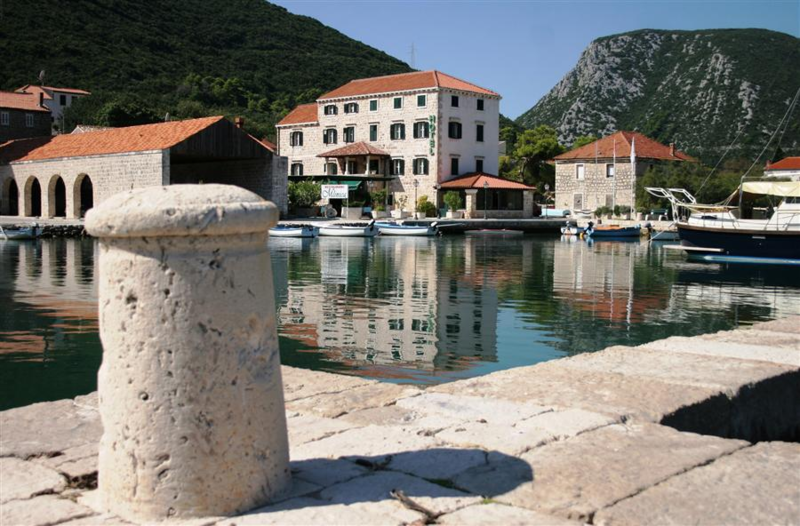 This was the second most important city in the Republic. 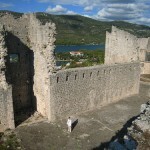 It was built by plans and regulations from 1334. 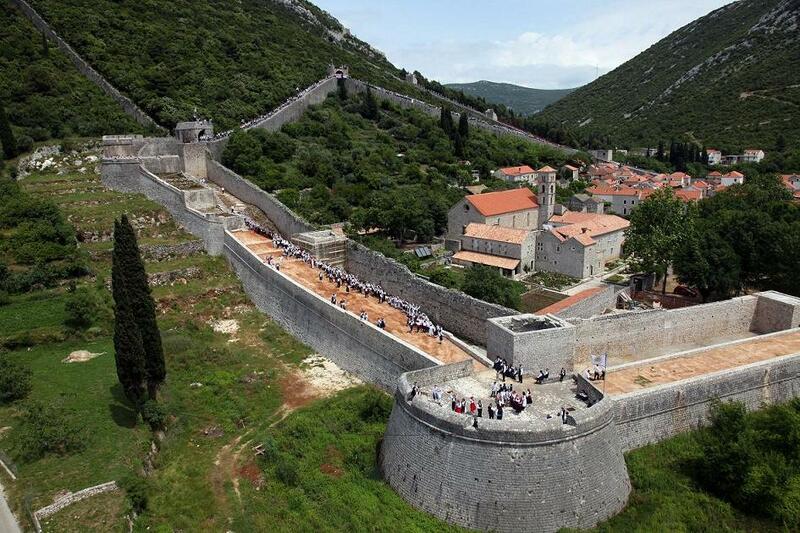 There was a school in Ston in 1389, orphanage in 1458, and an orphanage in 1494. 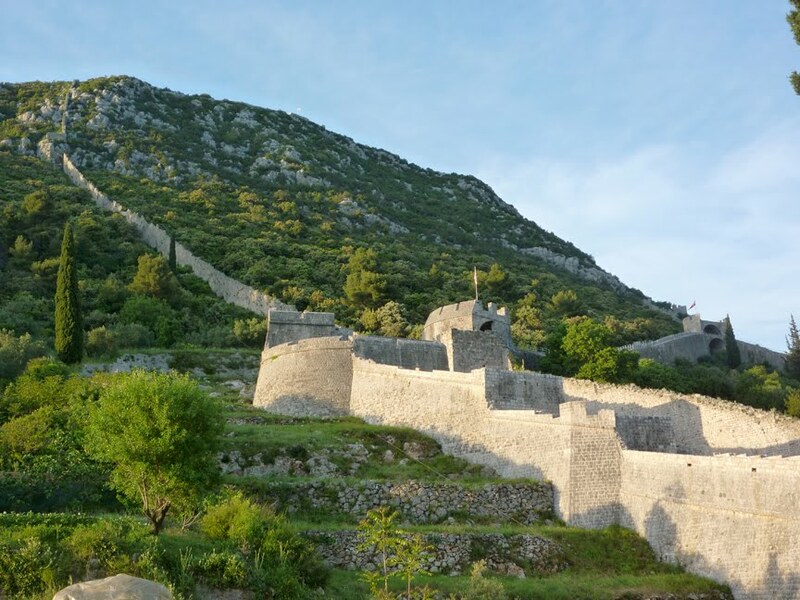 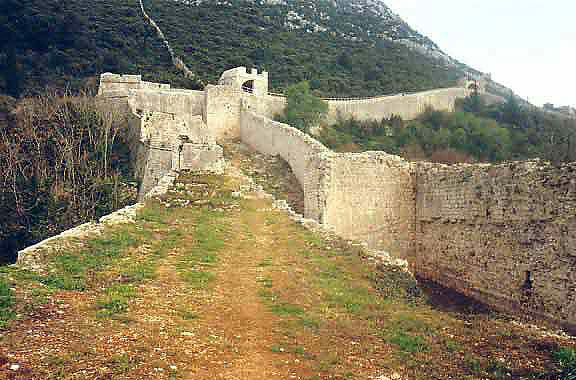 Ston is surrounded with the about 1 km long walls and the forts. 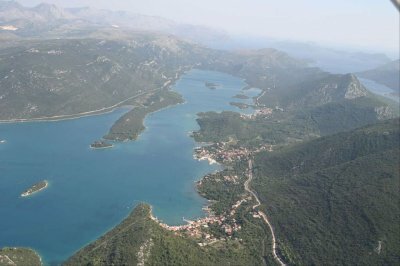 The Big Kastio being the biggest one. 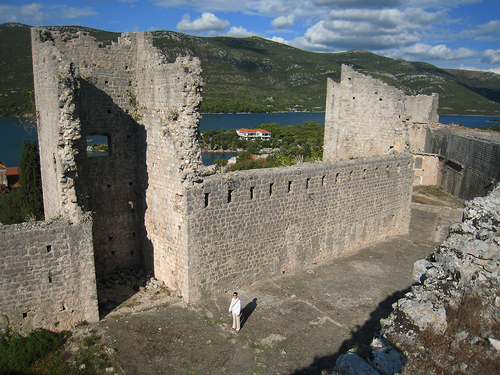 The tower Podzvizd is built on the Podzvizd hill. 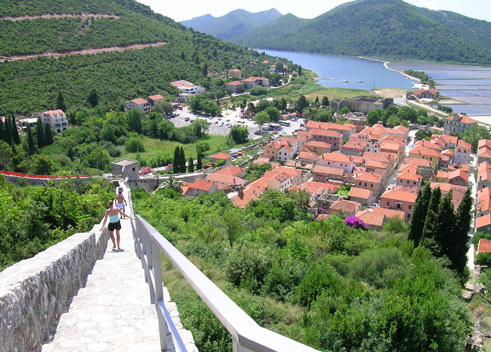 From here there is a beautiful view of the city and the salt factory. 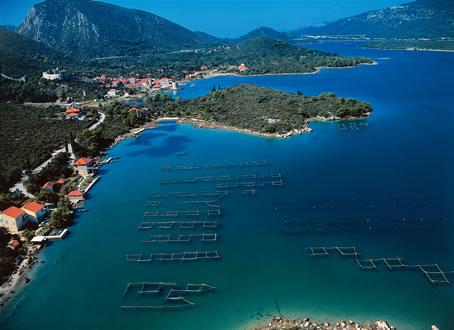 Ston is home to 528 people working in farming, fishing, shellfishing, salt production, and tourism. 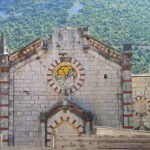 The parish church of St. Vlaho was built in 1873, and sanctified in 1886. 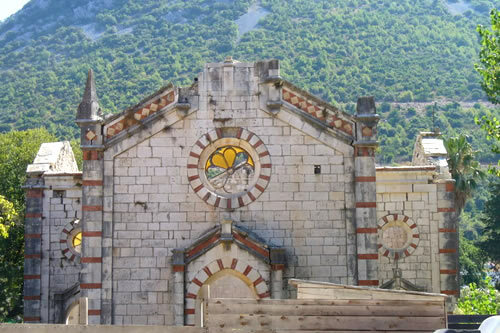 Franciscan Monastery with the church of St. Nicolas whose building started in 1323, the church of St. Michael from the XI century, the church of the Lady of Luzine which used to be the center of the medieval parish. 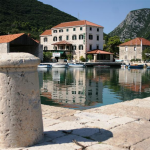 The famous buildings are the Sorkocevic Palace, and the Dordjic Palace from the XVI century, The Duke's Palace built in the renaissance style, gothic office buildings, and public fountain from 1581. 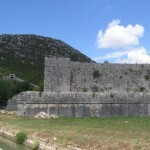 Mali Ston, located on the northeastern side of the Ston isthumus. 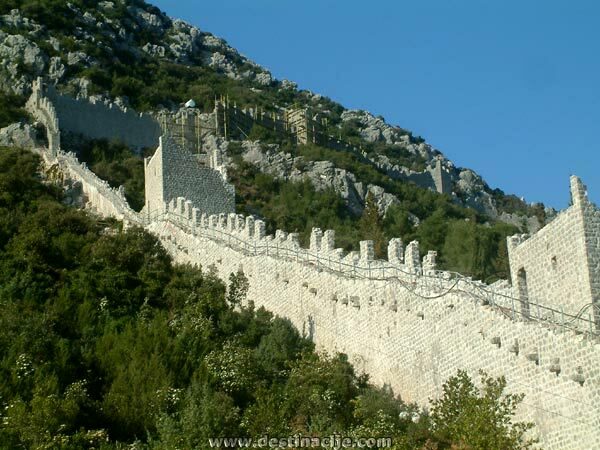 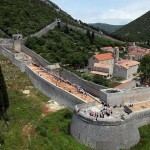 It was built by Dubrovnik in the XIV century, surrounded by protective walls in the square shape. 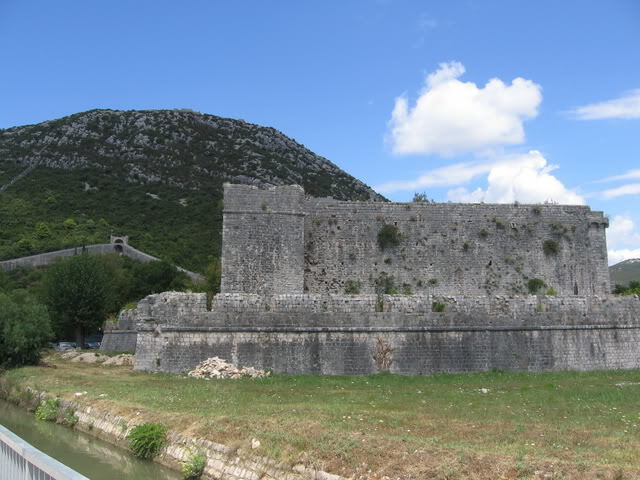 The Big Fort of Koruna connects the wall across Prevlaka with the rest of the wall and the fort of Ston. 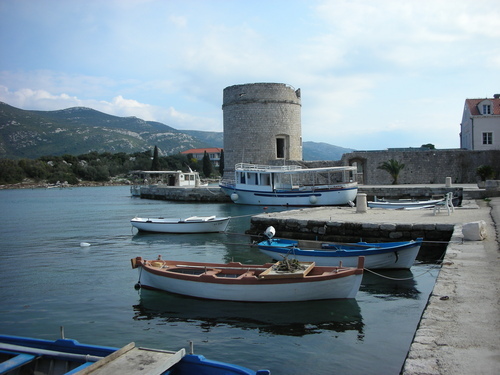 The Port of Mali Ston was built in 1490 imitating the Dubrovnik port. From this port the salt used to be exported to Neretva, and Bosnia. 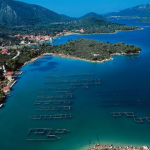 Mali Ston is famous for its farming of shells in the bay of Bistrina in the Mali Ston channel. 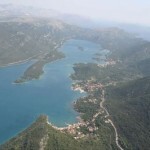 The other villages of this area are Broce, Cesvinica, Dancanje, Duba Stonska, Dubrava, Hodilje, Luka, Metohija, Putnikovic, Sparagovici, Tomislavovac, Zabrdje, Zaton Doli.